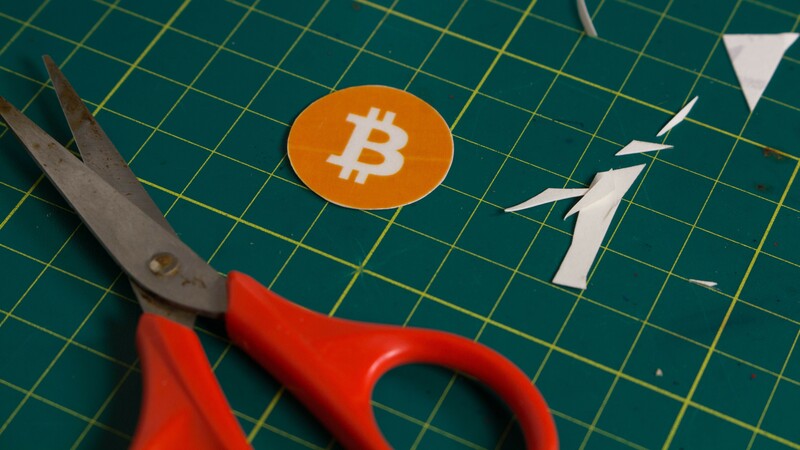 Remember Bitcoin?.... the decentralized, new age currency, that was once traded at $19K which was supposed to revolutionize the global payment system. Well, it turns out that there are less than 3,585,825 Bitcoins left to mine. 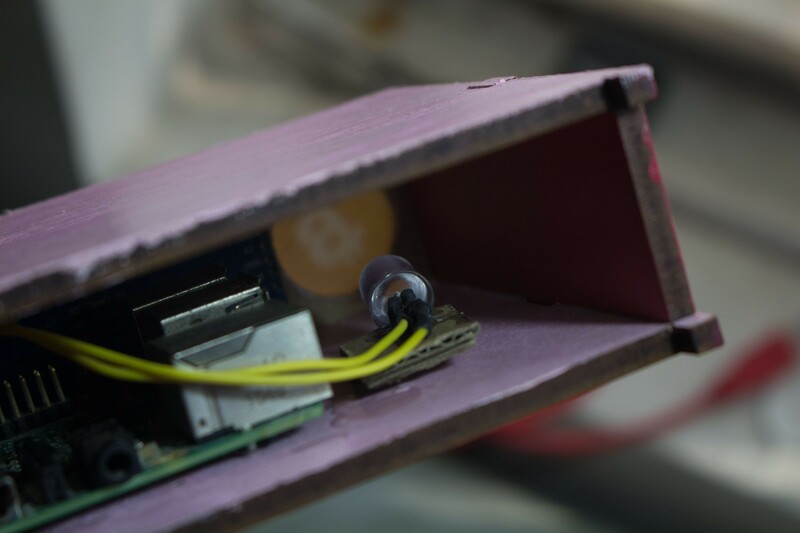 Around a year ago, I came across thispost on r/bitcoin that talked about building a Bitcoin Clock across the street from the famous NYC Debt Clock. 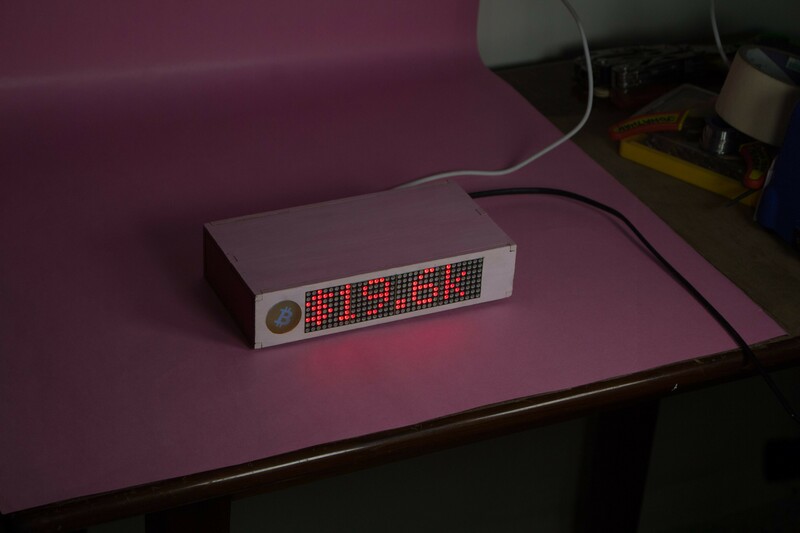 But instead of counting up like the debt clock, the Bitcoin Clock would count down how many bitcoin remains to be mined. This got me thinking. 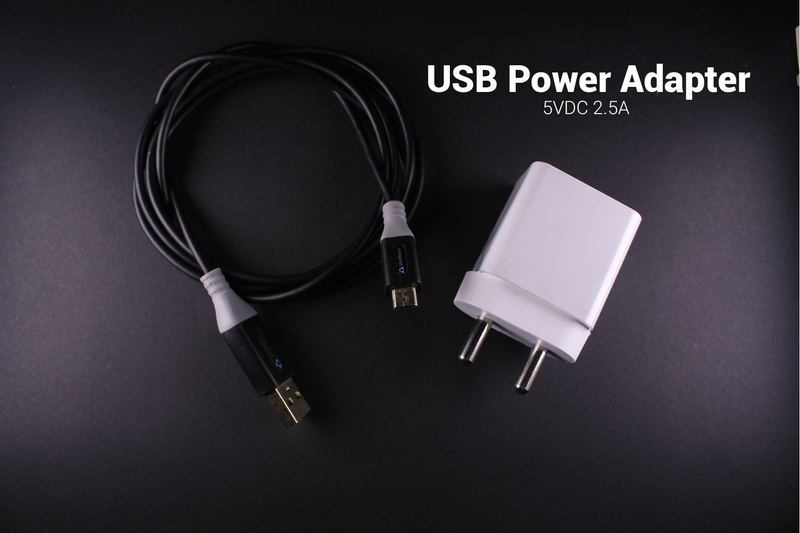 Serial Peripheral Interface(SPI) is an interface bus commonly used to send data between microcontrollers and small peripherals such as displays & sensors. 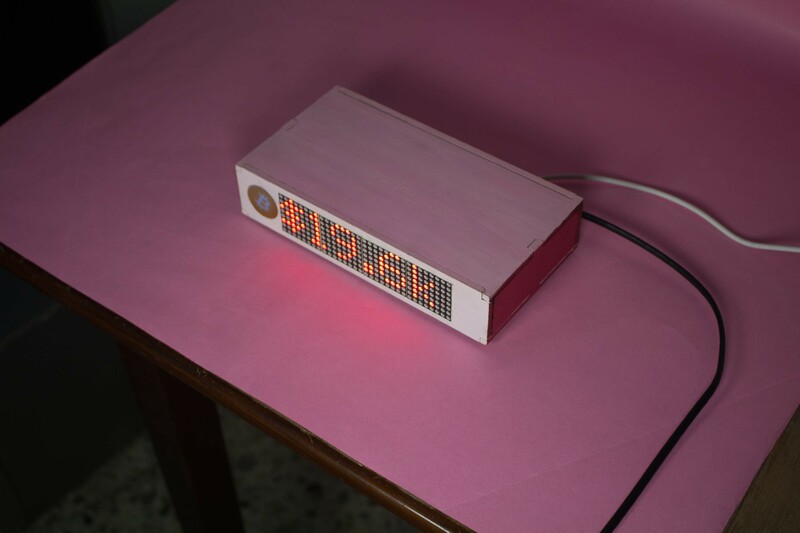 It uses separate clock and data lines, along with a chip select line to choose the device you wish to talk to. 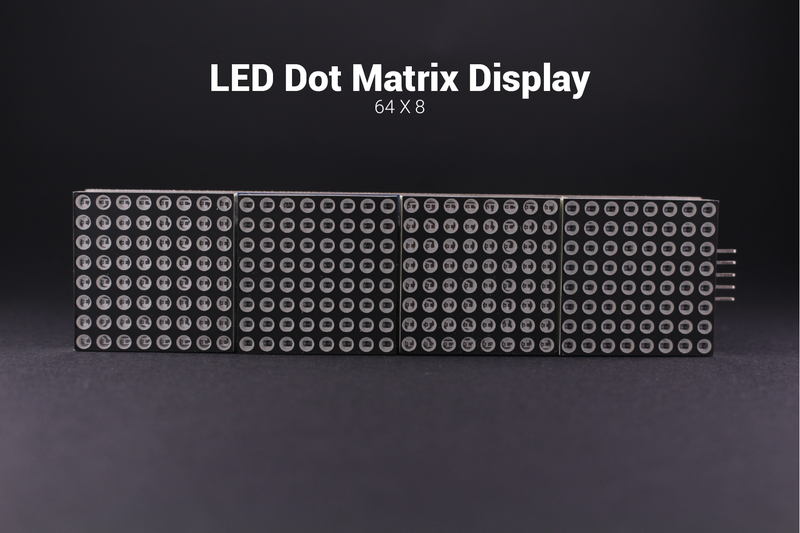 The LED Matrix Display is connected to the Raspberry Pi's SPI pins. Requests is an elegant and simple HTTP library for Python. 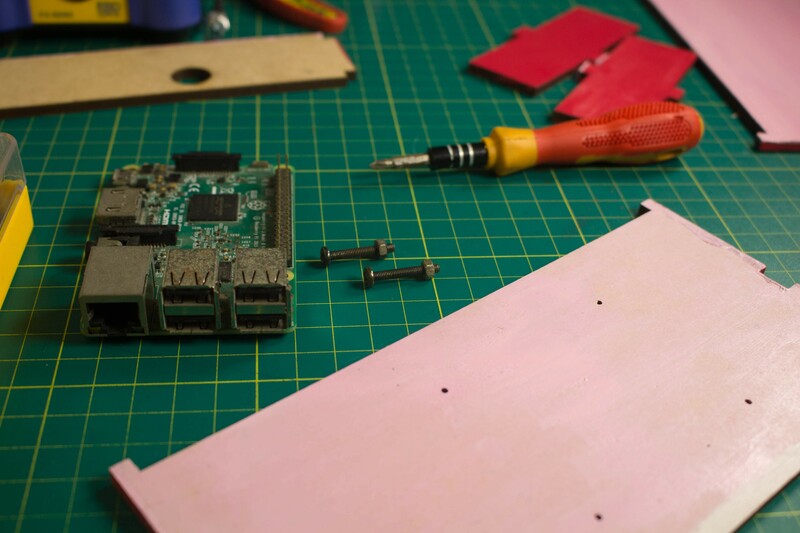 Requests Installation & Documentation. Beautiful Soup 4 is a Python library for pulling data out of HTML and XML files. 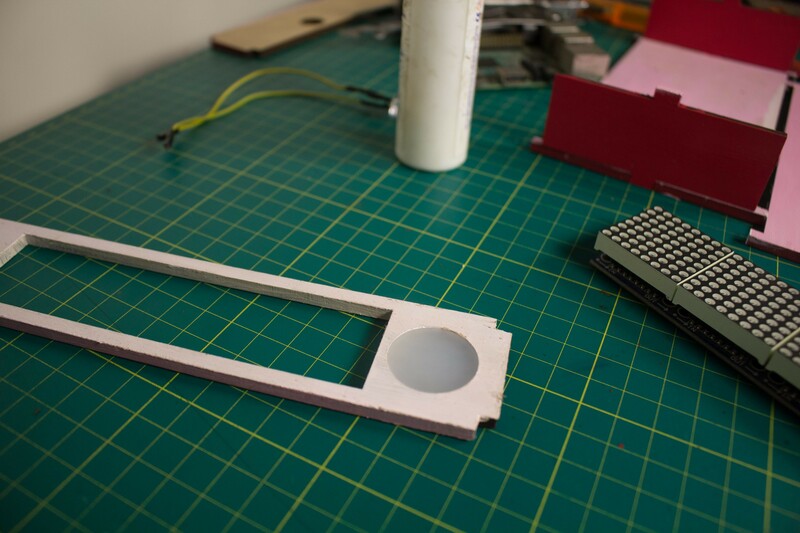 Beautiful Soup Installation & Documentation. 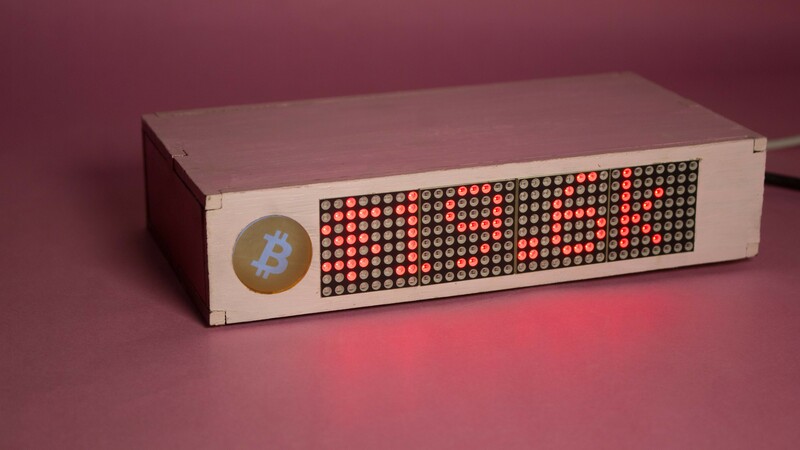 Bitcoin Bar can display upto 19 different real-time data parameters. 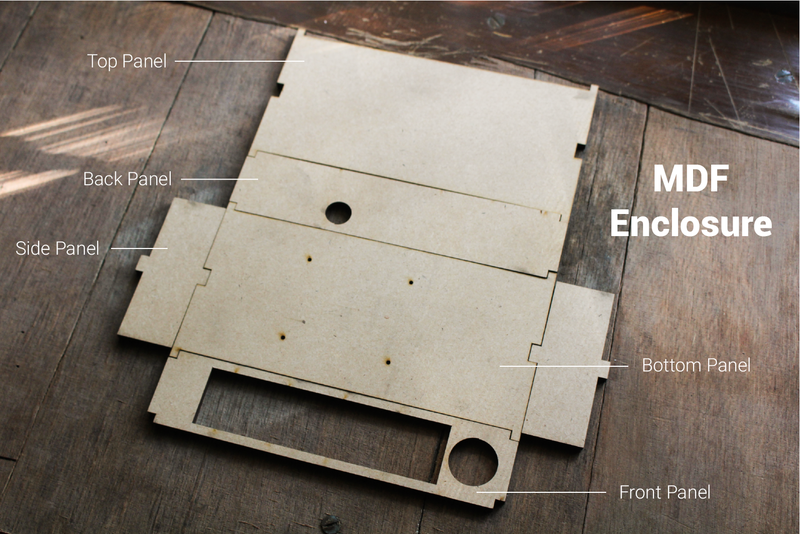 These can be configured to be displayed in any order or sequence. The main program displays all 19 data parameters sequentially. By adjusting the value of scroll_delay, the scrolling speed can be changed. 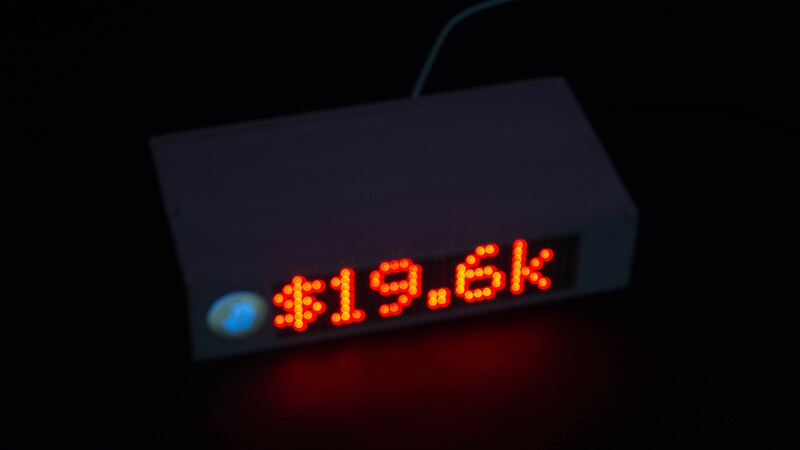 The led_test.pyexample uses the text function to display static text. The data parameters are web scrapped from bitcoinblockhalf.com. I have limited the number of visits to the site to once per hour so that the website is not burdened with unnecessary traffic. I use this website since it collects several of these data parameters from various other API's & hosts them centrally. 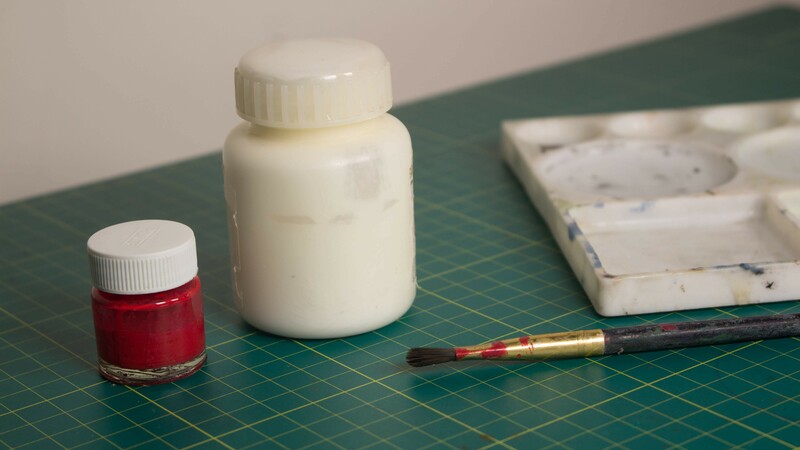 Check out the websites repository for more information. 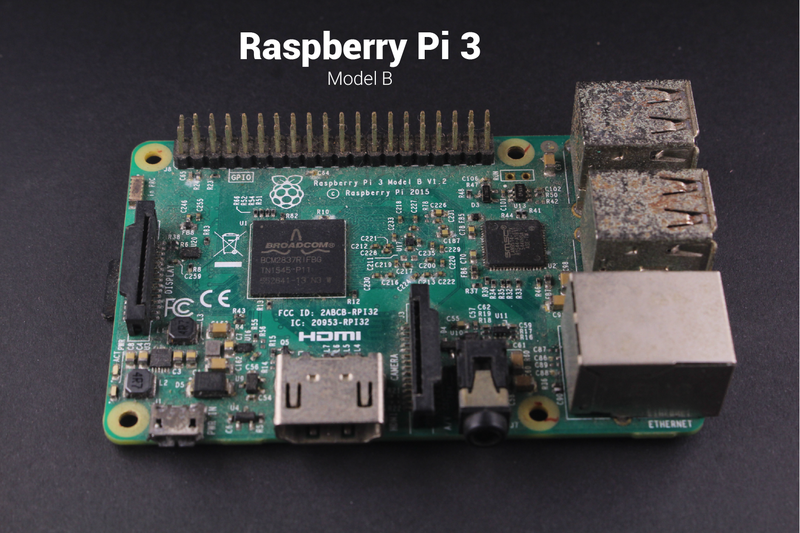 I followed the official RasPi documentation which modifies the rc.local file in order to run the Python script on boot up. 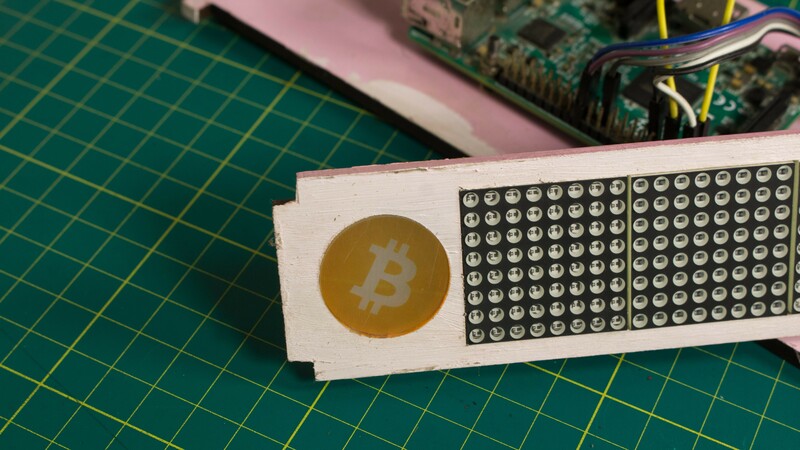 Bitcoin Bar's enclosure consists of an interlocking box which is laser cut from 5mm MDF. 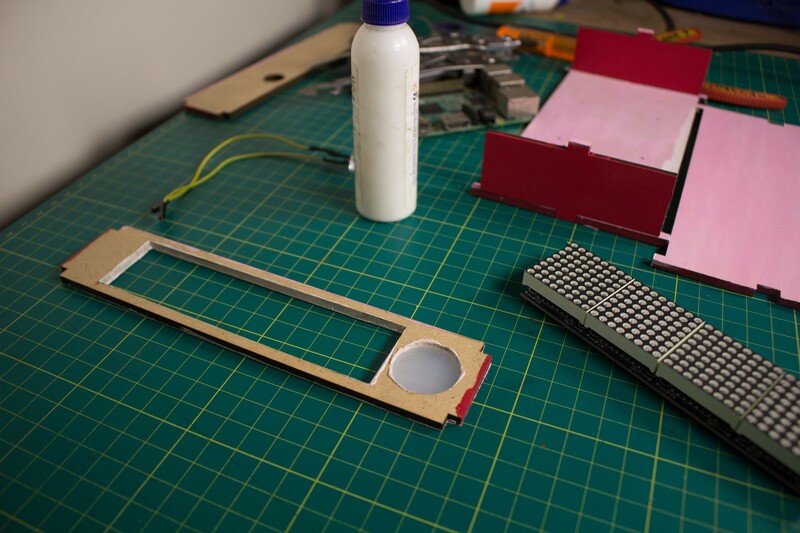 The Front Panel has two slots: one for the LED Display & the other for the Acrylic Diffuser. 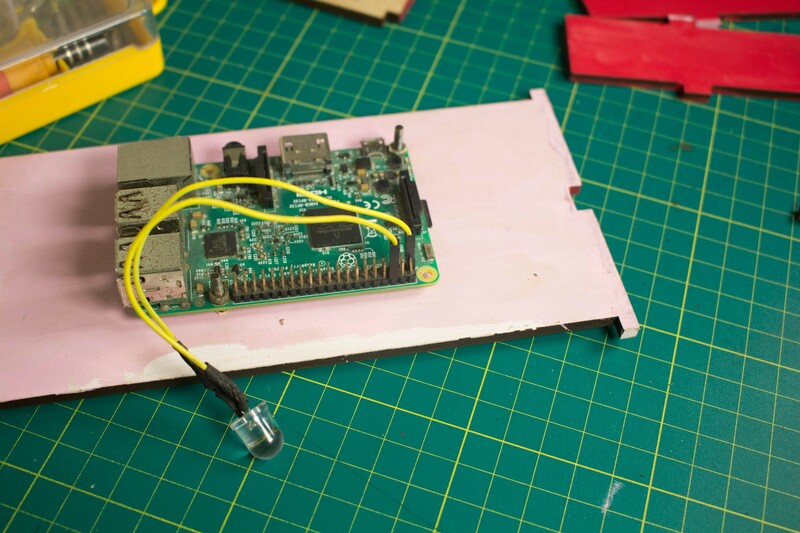 The Back Panel has a hole for the power supplies USB cable which is plugged into the Raspberry Pi. 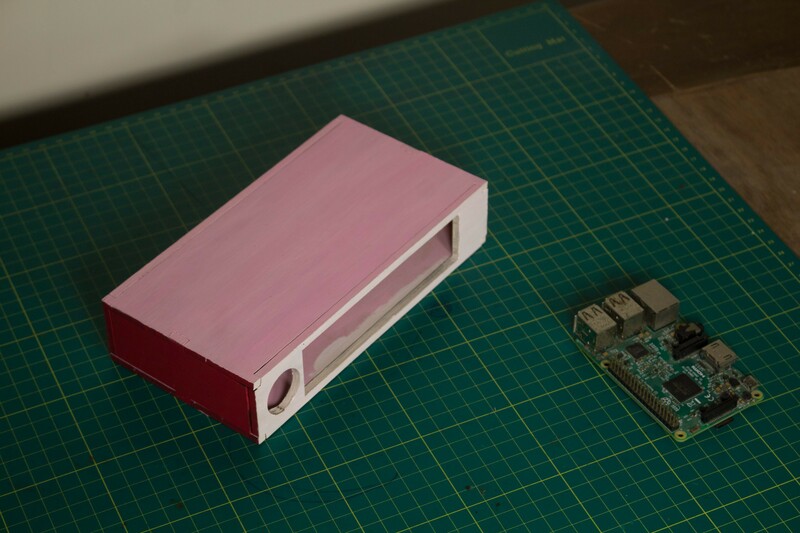 The Bottom Panel has 4 holes to which the Raspberry Pi is mounted too. 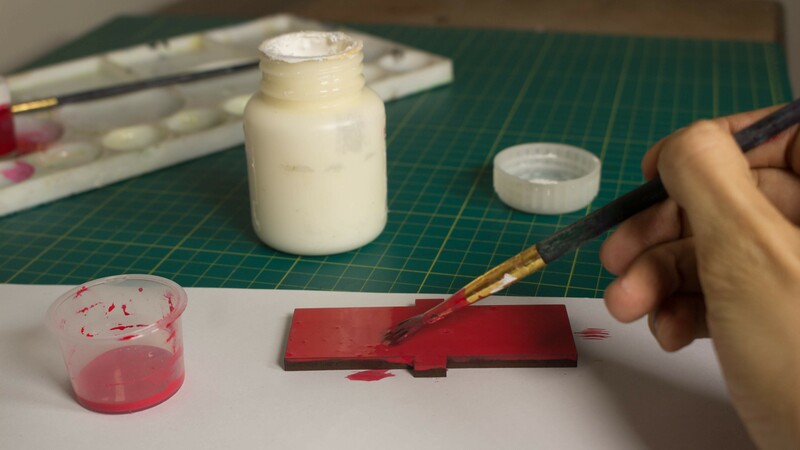 Paint the MDF enclosure to prevent it from getting affected by humidity. 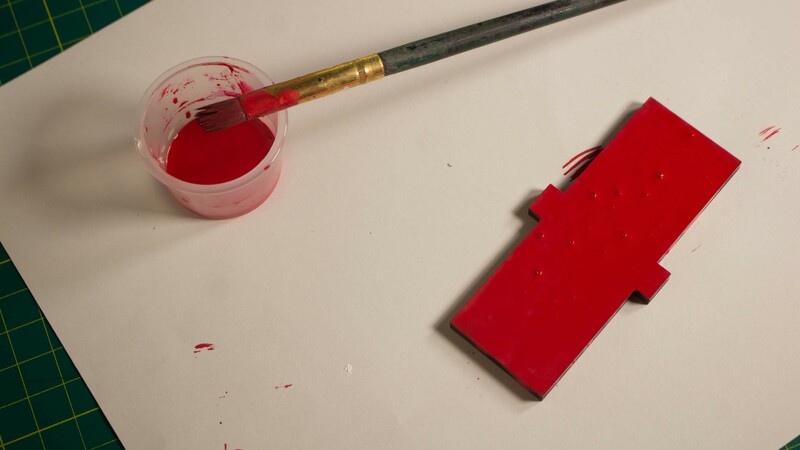 I used acrylic paints to do so. 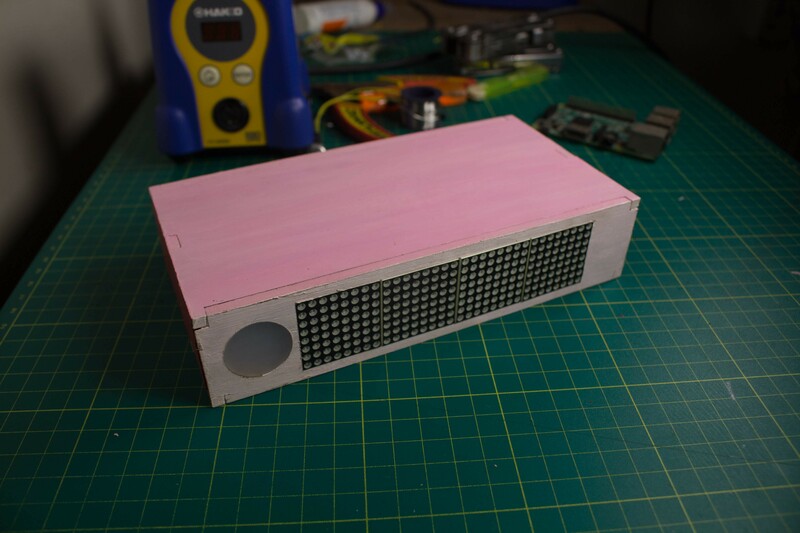 I chose to paint it like a pink piggy bank. 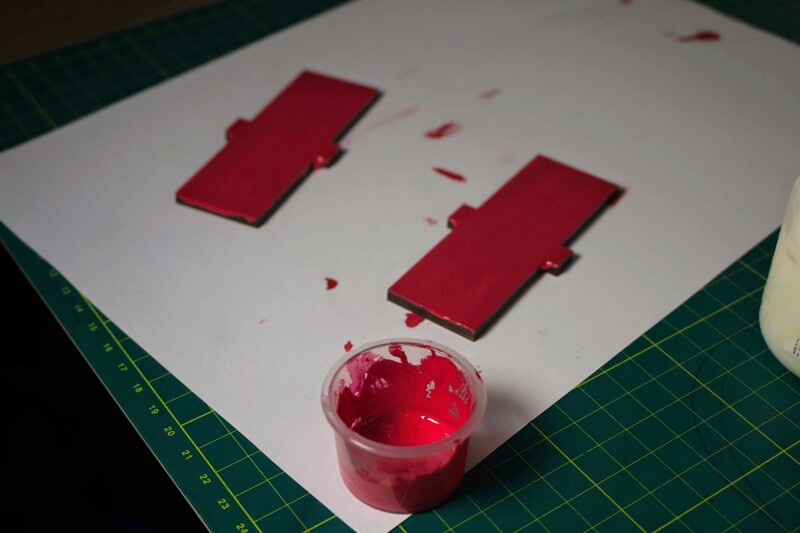 Once the paint has dried, you can begin assembling the project together. 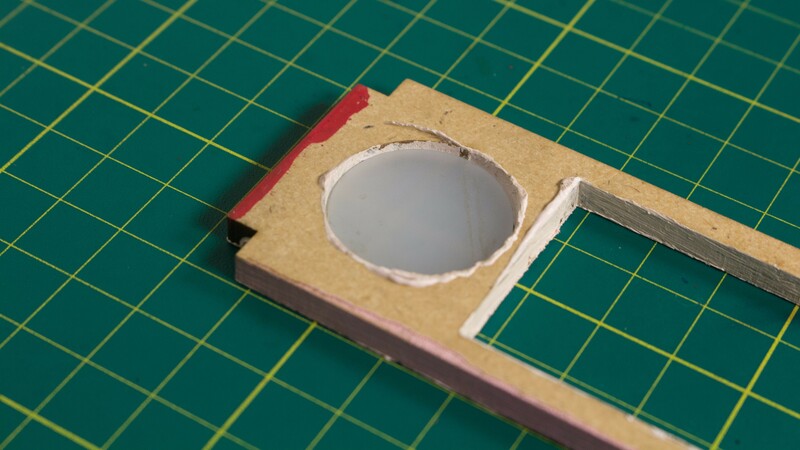 Stick the circular acrylic diffuser into its slot on the Front Panel of the MDF Box. 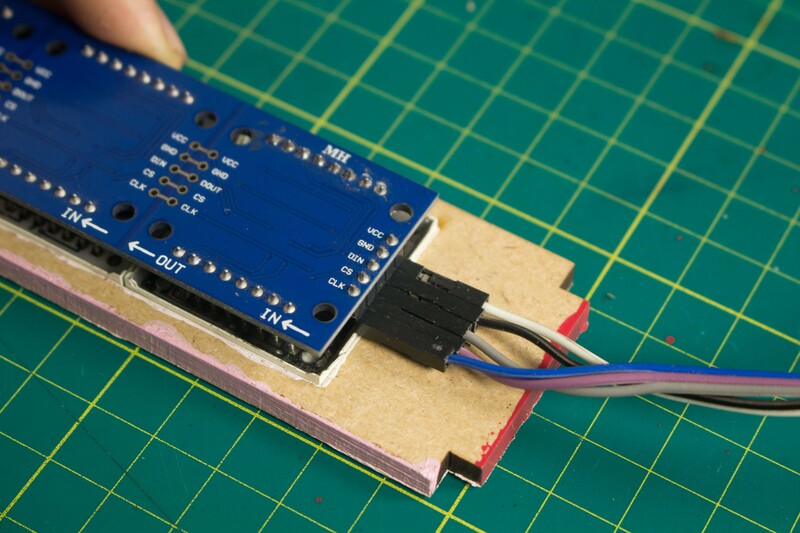 Place and stick the LED matrix display into its slot on the Front Panel of the MDF Box. 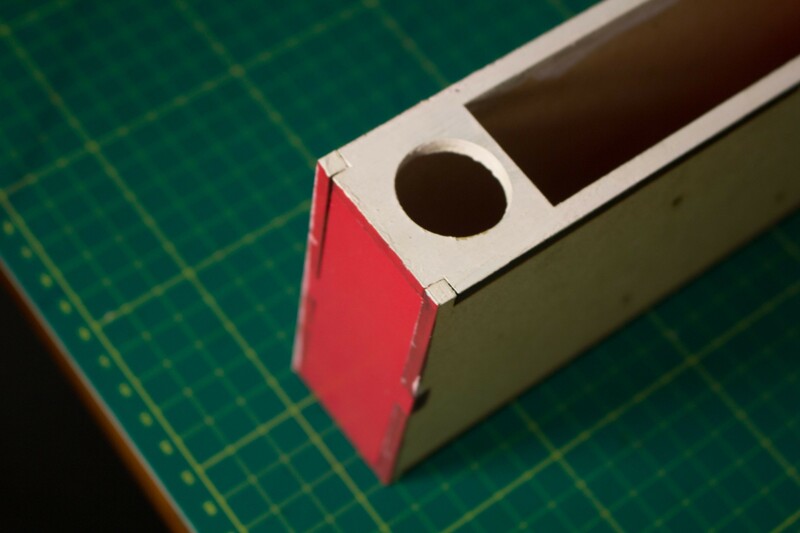 Make sure that it is aligned flush with the front surface of the panel. 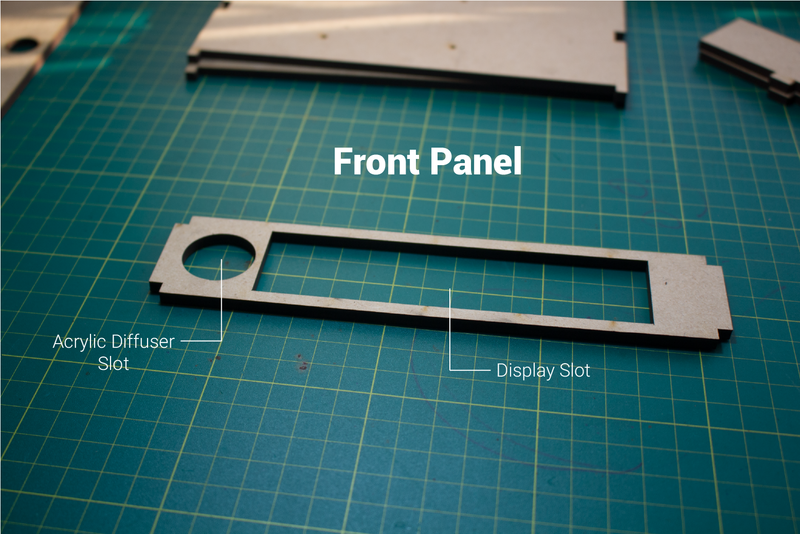 If you are using a different display module, you will need to make the necessary changes to the slot's dimensions in the laser cutting files. 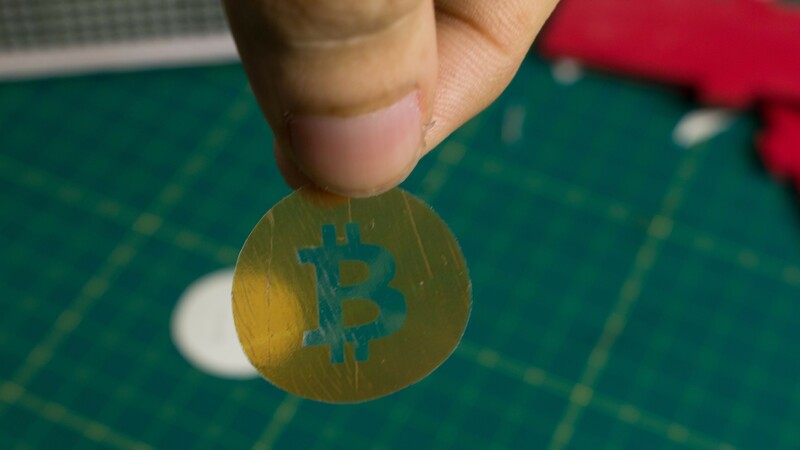 In order to make the glowing Bitcoin logo, print the Bitcoin logo onto a piece of clear sticker paper. 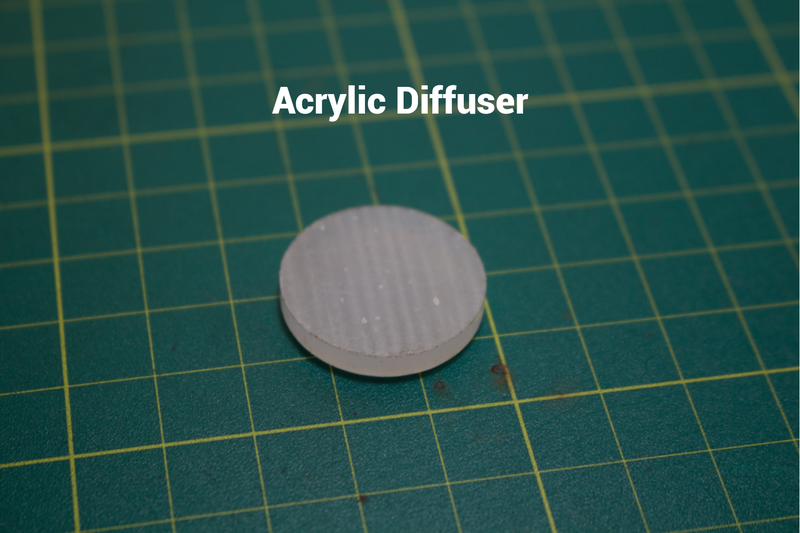 Cut the circular logo and stick it onto the acrylic diffuser on the Front Panel of the MDF box. 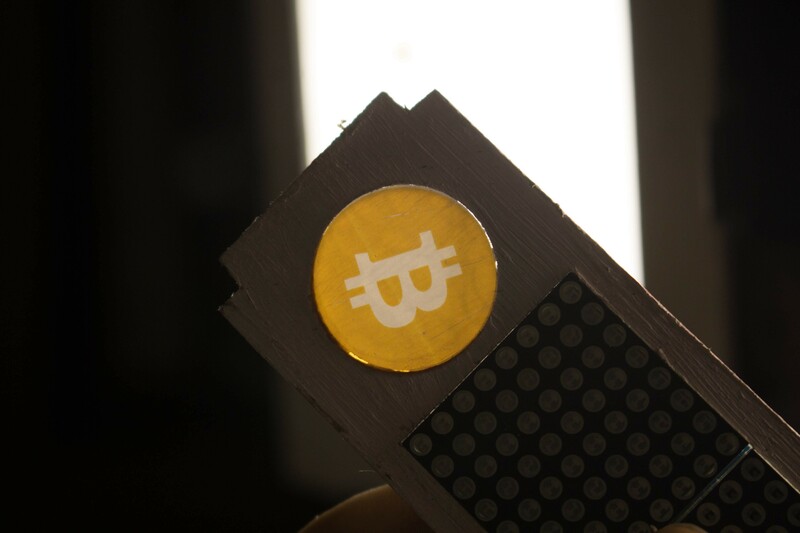 A 10mm White LED is used to light up the Bitcoin Logo through the acrylic diffuser. 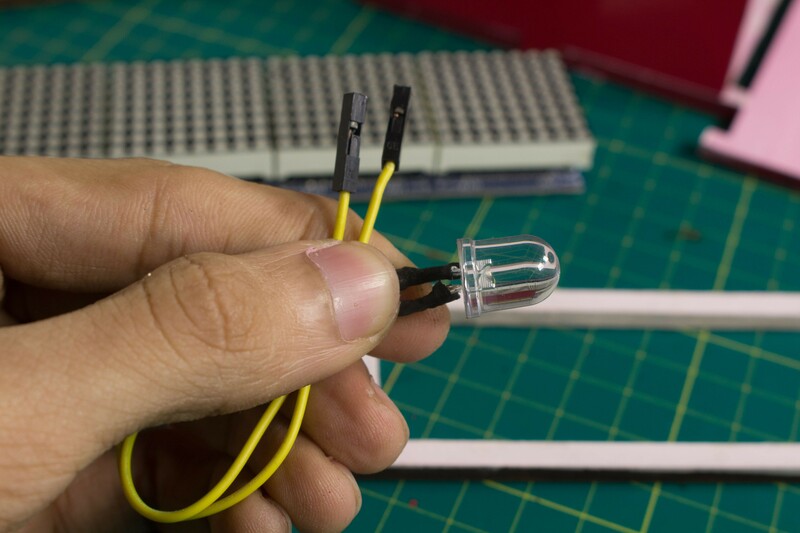 I soldered two female header connectors to the LED so that it can be easily connected to the Raspberry Pi. 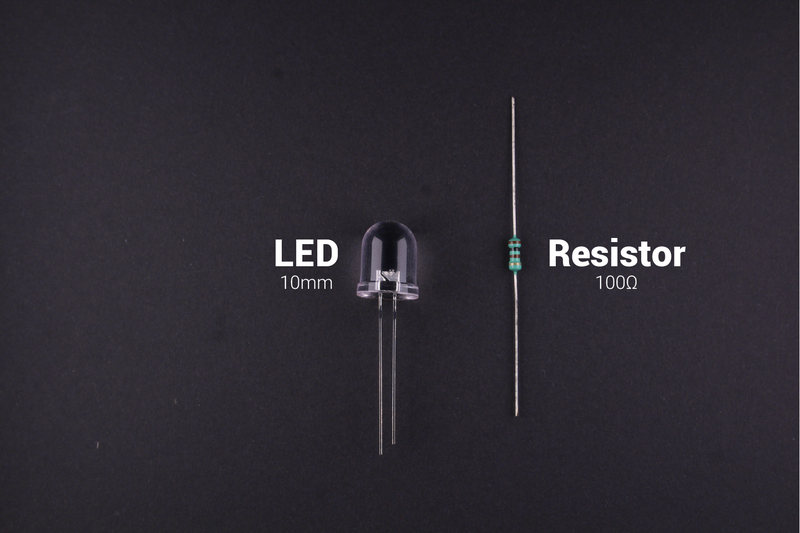 I made sure to add a resistor between the LED's anode(+) and the +3.3V of the Raspberry Pi as shown in the Circuit Schematic. 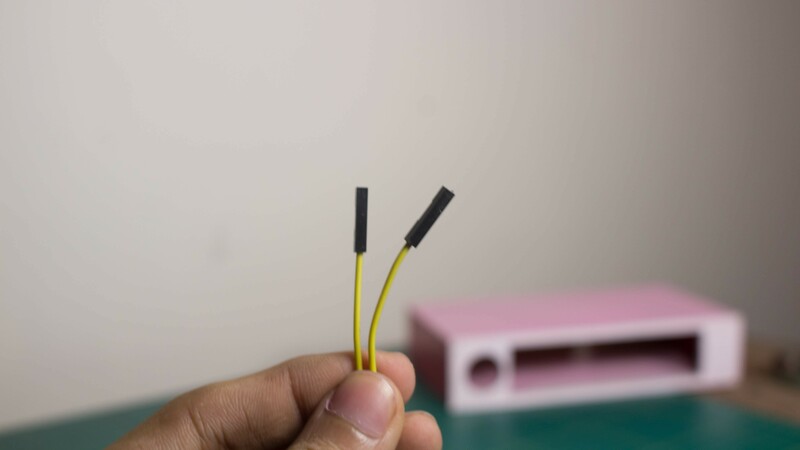 I sealed the soldered joint with a small piece of heatshrink. 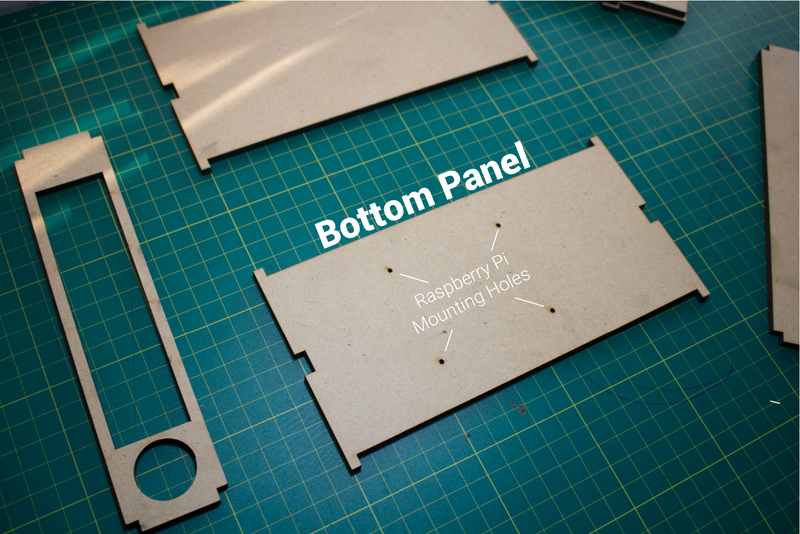 I used nuts & bolts to mount the Raspberry Pi 3 to the Bottom Panel of the MDF Box. 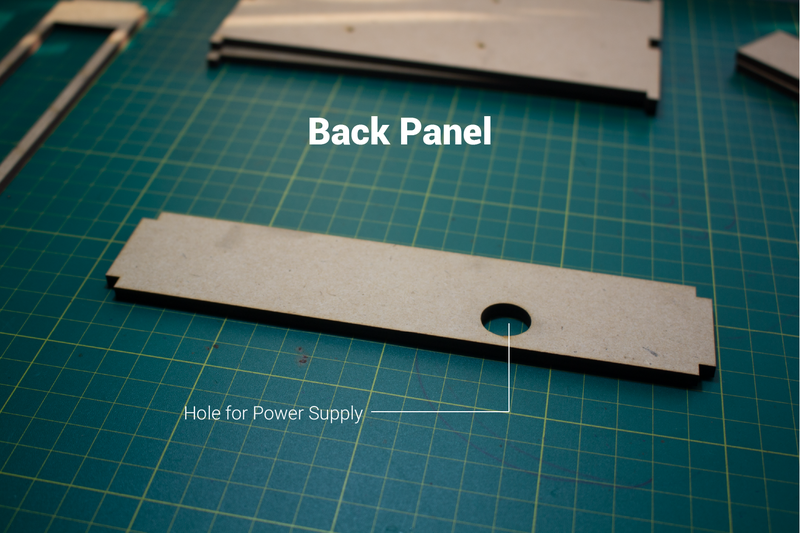 This panel has 4 holes that are laser cut into it such that the micro-USB port of the Raspberry Pi 3 aligns perfectly with the slot cut out in the Back Panel of the MDF box meant for the USB power adapter's cable. 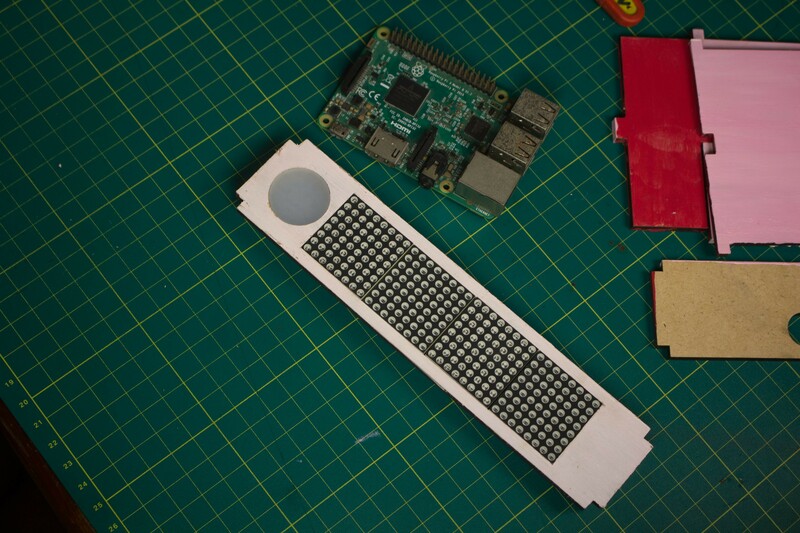 I will also include the Laser cutting files for the Raspberry Pi Zero in the future. 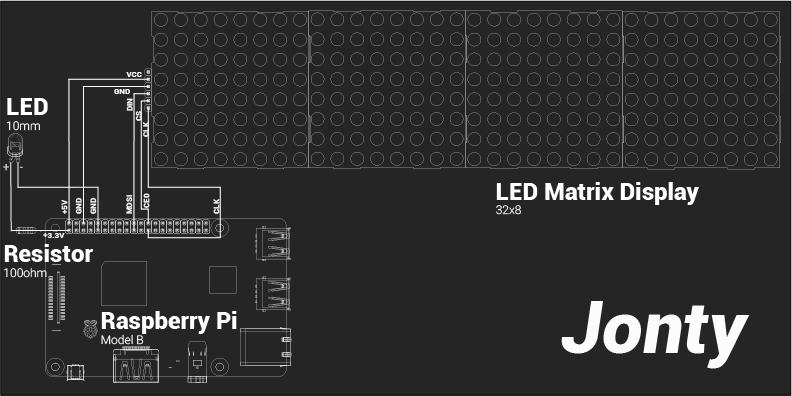 As shown in the Schematic, I connected the 10mm LED to the Raspberry Pi and also connected the LED Matrix Display to the SPI pins of the Raspberry Pi. 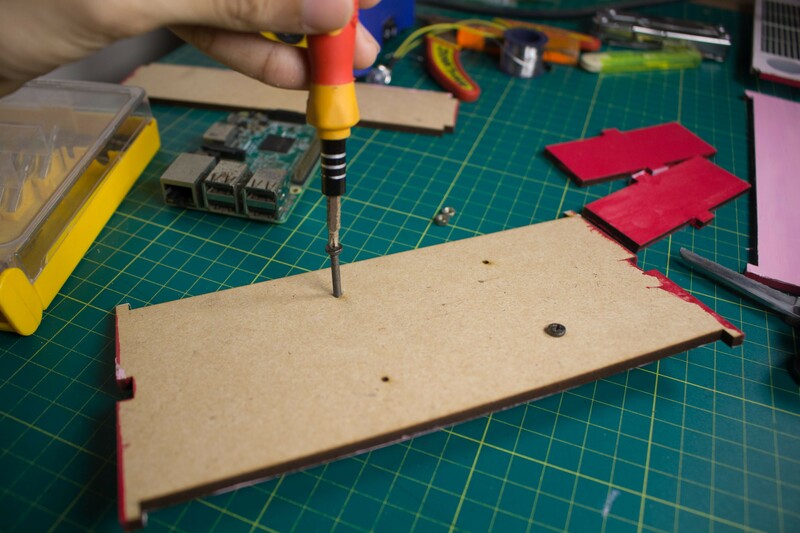 Once you have connected all the electronic components according to the schematic. 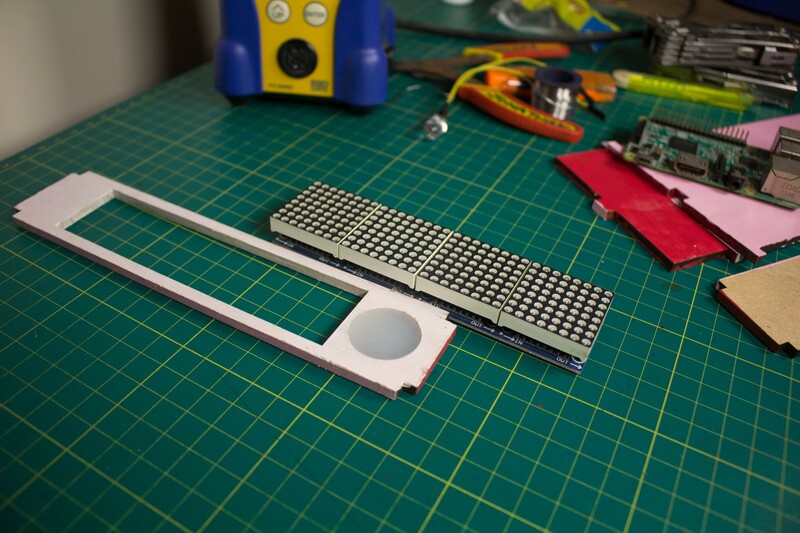 Stick the 10mm LED into place such that when it is turned ON, the light illuminates the acrylic diffuser evenly. 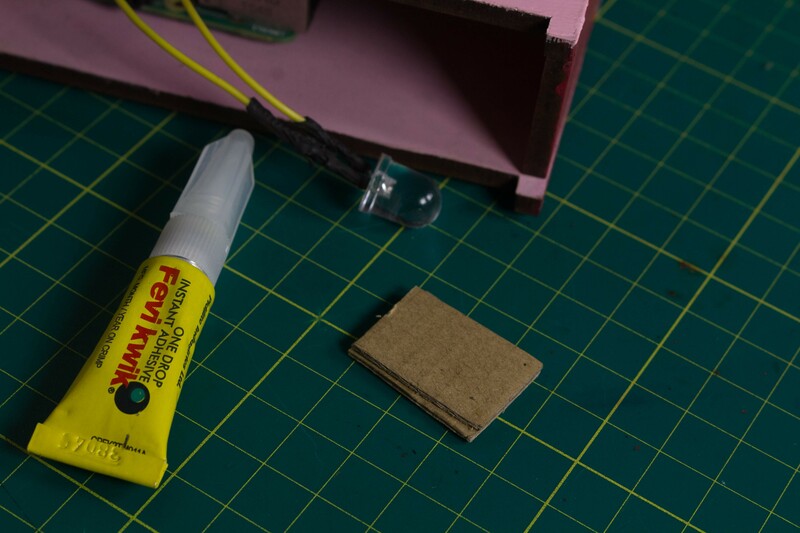 I stuck a small piece of cardboard beneath the LED to tilt it such that the acrylic diffuser was illuminated evenly. 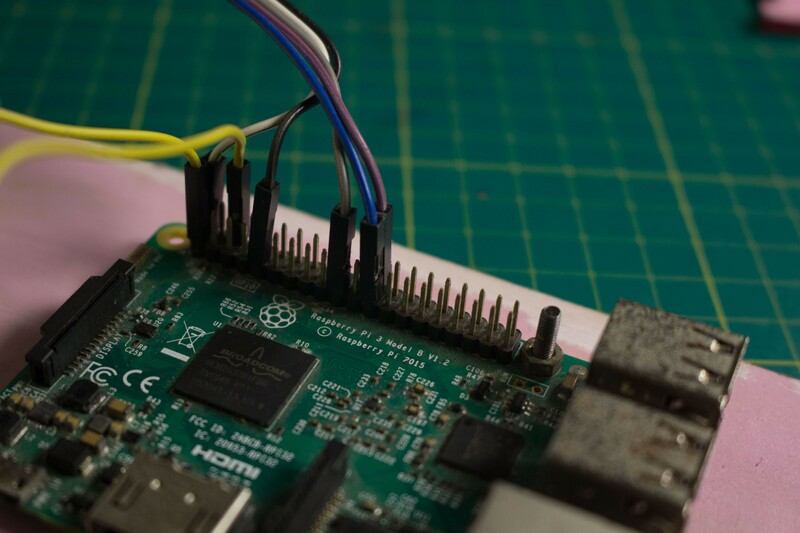 Once all the electronic components are connected & stuck into place, thread the USB Power adapter wire through the hole in the Back Panel & connect it to the Raspberry Pi. 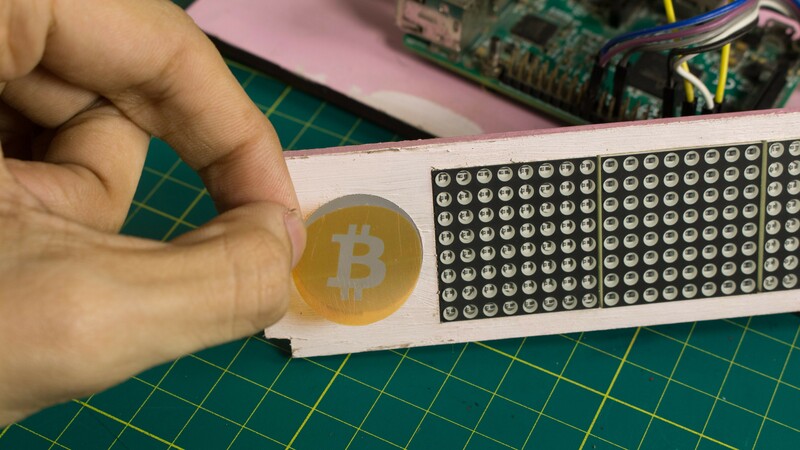 When you turn ON the supply, Bitcoin Bar should automatically display the latest Bitcoin trends and information. 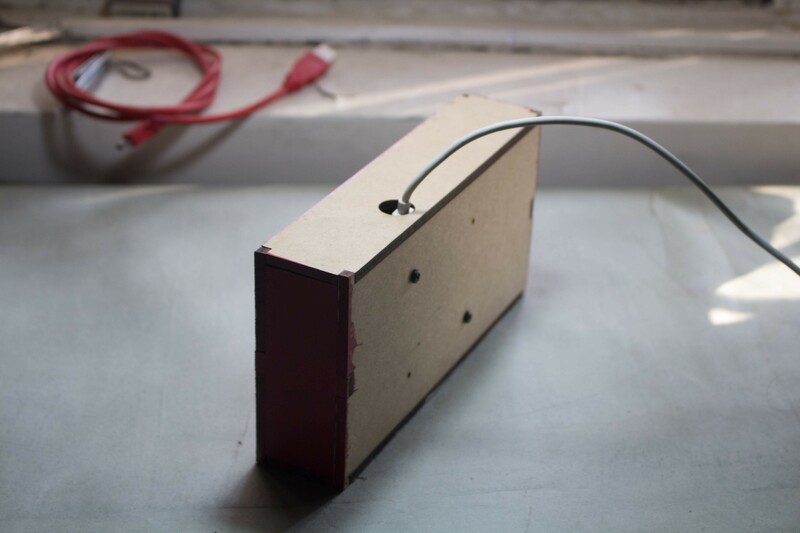 If you have any doubts, questions or tips for this project, leave them in the comments section below. 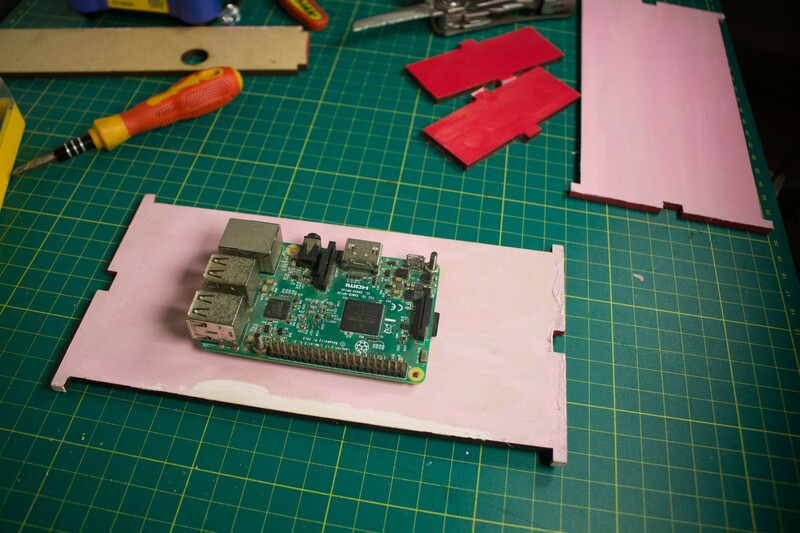 RasPi's can get a bit rusty if left outside especially in humid cities.